IS PUTIN NAIVE OR COY? – TRUTH IN MEDIA: TRUTH TRUMPS POWER EVERY TIME! IS PUTIN NAIVE OR COY? You can see some more quotes in the images below. Predictably, the western establishment press has remained mostly critical of the speech, as befits obedient New World Order regime lapdogs. The New York Times, for example, called Putin’s remarks a “diatribe” (see Putin Accuses U.S. of Backing ‘Neo-Fascists’ and ‘Islamic Radicals’). 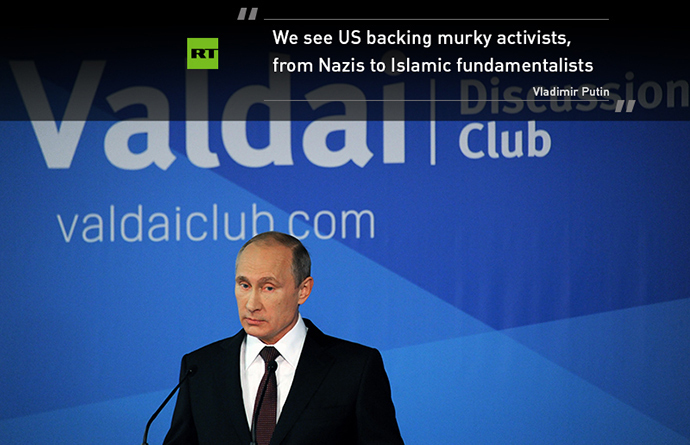 “Instead of supporting democracy and sovereign states… the United States supports “dubious” groups ranging from “open neo-fascists to Islamic radicals,” the NYT quoted Putin as saying. “Why do they support such people?”, he asked the annual gathering known as the Valdai Club in the southern resort town of Sochi. The goal of the United States, he said, was to try to create a unipolar world in which American interests went unchallenged. 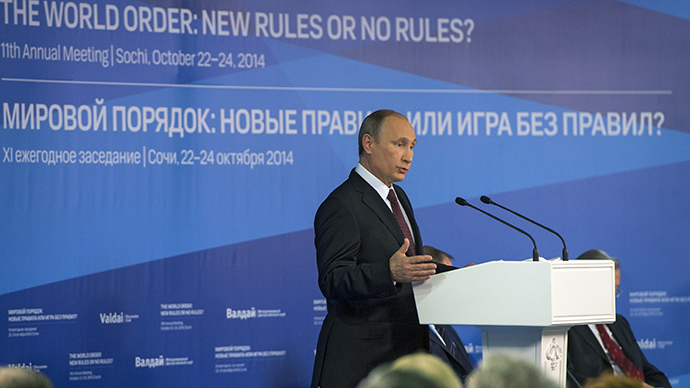 Putin Said Nothing New, so why all the fuss? 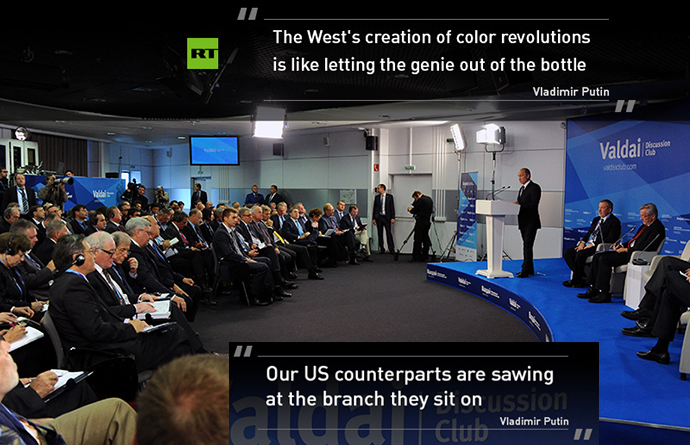 What’s interesting about the media reactions to Putin’s Oct 24 speech is that he actually said nothing new. Here’s a quote from his March 18 speech to the Russian Duma about the then annexation of Crimea into Russia (see Putin Lashes Out at Washington Treachery, Mar 19). So what do Russia, Ebola and terrorism have in common to warrant lumping them together, as Obama has done? In one sense – nothing. In another – Snowden. 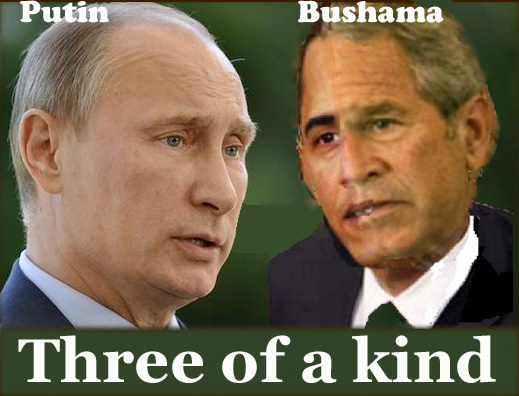 All three were “made in USA” crises, manufactured by the Washington Crisis Factory (a 1999 essay). But Snowden’s revelations about all sorts of illegal and criminal activities the US government is involved in has enraged the would-be New World Order leaders who are not accustomed to public scrutiny (see Edward Snowden wins alternative Nobel prize, Sep 2014). 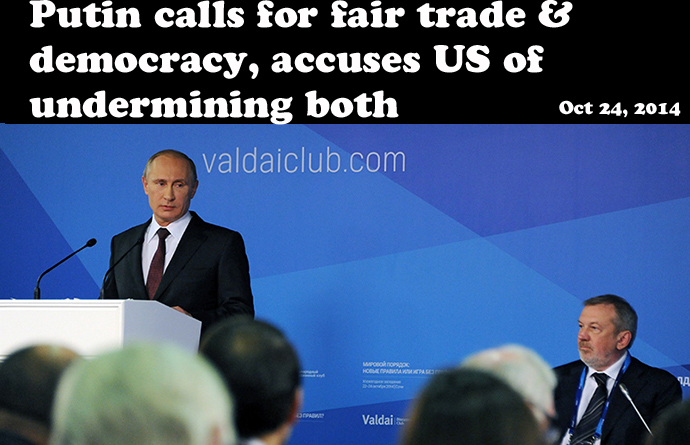 Russia’s “fault” was to have agreed to shelter Snowden from the shackles of the New World Order jackals. So Washington mobsters have ratcheted up the pressure on Russia by engineering a coup d’etat in Ukraine and the civil war that followed. Just as they did two decades ago with Slobodan Milosevic, another one of their “partners” who went rogue when he became president of Serbia. And to Saddam Hussein, another NWO “partner” from the Iran-Iraq war who took a Washington bait reached out for “a country too far” (Kuwait). Another useful lesson history can offer is what happened in 1938 when the British Prime Minister, Neville Chamberlain, thought he could negotiate a peace treaty with Hitler. 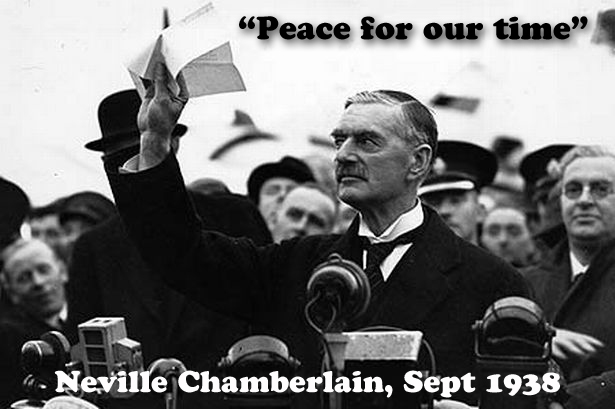 His words “peace for our time” ended up in the laughing stock of history considering the world war II that followed. Given these recent and distant lessons from history, one must wonder – is Putin naive, like Chamberlain, or coy, like Gorbachov? For, Putin is still referring to the Washington mobsters as “partners” even as he attempts to criticize them. And he seems to be still holding out hope that he can somehow negotiate with them. That’s no more realistic than negotiating with drug cartel bosses in Mexico or Colombia. Or with crocodiles like Hitler. So is he coy then? Is he really a “double agent,” a part of the NWO crowd who is playing the role of the enemy? As Gorbachov did during the “glasnost” era, a prelude to the Soviet Union collapse? That’s a possibility. But frankly, not a very realistic one. So naive it is, methinks. Why? Because the Washington mob made Putin feel like one of them. For 13 years to be exact, the New World Order leaders treated Putin as a sort of a junior partner. When he ascended to the Russian presidency in 2000, he was a newby without much international experience. Putin succeeded a western stooge whose drinking problem made him an unreliable NWO “partner” (Yeltsin). Yet even Yeltsin had not abandoned Russia’s friends as Putin has done. 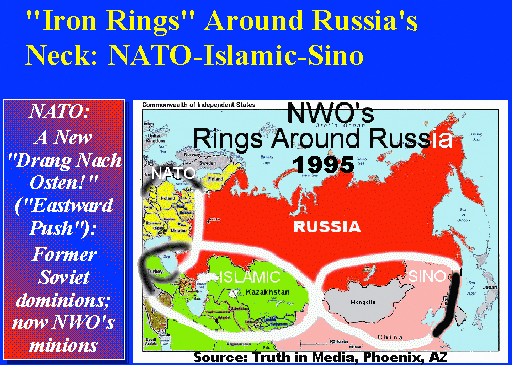 But back in 2003, when Putin naively thought Russia was also an NWO member in good standing, he sold out the Serbs and pulled the Russian troops out of Kosovo, as he had done a month earlier in Bosnia. Thus he effectively threw the entire Balkan peninsula into NATO/American lap. By contrast, Yeltsin sent the Russian troops to Kosovo in June 1999 and grabbed the Pristina airport before NATO had even arrived. And the Russians had been a key Bosnia peacekeeping force ever since that Balkan conflict escalated in 1992-1993. That was a strategic miscalculation by the Russian president. For, it cost him the membership in the NWO club. He has since been disinvited from all global leadership events except for those Russia sponsored (such as BRICS meetings – see Parallel Wars). Unlike the “spy who came in from the cold,” he and Russia have been cast side to freeze in isolation. That Putin is now badmouthing the club of which he used to be a member sounds more like sour grapes of a jolted lover than rebellious statesmanship. But one thing is for sure. There is no turning back for him. Or for Russia. Perhaps unwittingly, when Putin granted Snowden the asylum, he cast himself and his country on a new path. 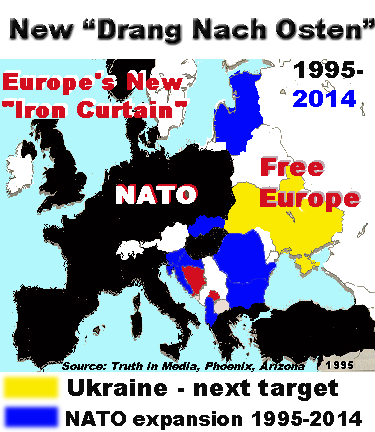 Ironically, it is the path the New World Order has always intended for Russia (see Ukraine: NATO’s Latest Drang Nach West Target, Feb 2014). It was a delusion from which Yeltsin also suffered that Russia was anything but an adversary in the eyes of the Washington would-be world masters. They dealt with her the same way Roman emperors dealt with conquests – using the “divide and conquer” tactics. They busted up the Soviet Union into 15 pieces (1. Armenia; 2. Azerbaijan; 3. Belarus; 4. Estonia; 5. Georgia; 6. Kazakhstan; 7. Kyrgyzstan; 8. Latvia; 9. Lithuania; 10. Moldova; 11. 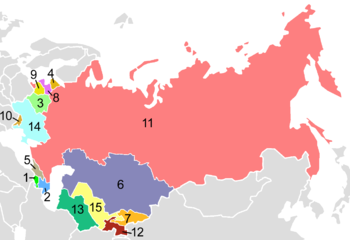 Russia; 12. Tajikistan; 13. Turkmenistan; 14. Ukraine; 15. Uzbekistan). And then they proceeded to set them against Russia using financial and military incentives. Since all this was obvious to this writer 20 years ago, one would think that the Russian president must have been aware of it, too. Yet Putin continued to cavort with the crocodile hoping for what? That it would eat him last, Churchill put it. 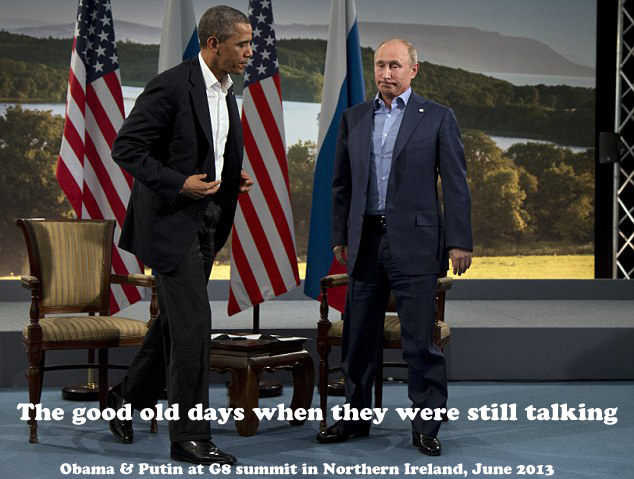 Until Snowden turned up in Moscow. That became the watershed event for Putin, whether or not he realized it at the time. And a wake up call for Russia. As a result, Russia may be out in the cold now. But at least has no illusions about any western “partnerships for peace” which lead to subjugation or wars. “U se i u svoje kljuse,” goes an old Serbian proverb. You can only trust yourself and your own horse. Which was a realization at which Churchill also arrived 75 years ago. The causes of World War Two can be divided into long term causes and short term causes. There can be little doubt that one of the long term causes of the war was the anger felt in Weimar Germany that was caused by the Treaty of Versailles. Another long term cause was the obvious inability of the League of Nations to deal with major international issues. In the 1930’s these would have been in Manchuria andAbyssinia. In both conflicts the League showed that it was unable to control those powers that worked outside of accepted international law. In the case of Manchuria it was Japan and in Abyssinia it was Mussolini’s Italy. With such apparent weakness, Hitler must have known that at the very least he could push the boundaries and see what he could get away with. His first major transgression was his defiance of the Versailles Treaty when he introduced re-armament into Nazi Germany. The expansion of all three arms of the military was forbidden by treaty. Hitler, however, ignored these restrictions. The world’s powers did nothing. The same occurred in 1936 when Nazi Germany re-occupied the Rhineland. Forbidden by Versailles, Hitler felt confident enough to ignore it. Europe’s failure to react was also demonstrated when Austria and the Sudentenland were occupied. And now, Washington and NATO have their sights set on adding Ukraine to its membership. Only when it became obvious that Hitler was determined to expand east and that what was left of Czechoslovakia and region Poland were to be his next targets, did the major powers of Europe react. Hitler’s reference to the Munich Agreement as a “scrap of paper” made clear his intentions. However, in 1938, very many in the UK had supported Neville Chamberlain’s attempts at avoiding war (appeasement) and public opinion was on his side. This only changed when it became clear that appeasement had failed and the public rallied to the side of Winston Churchill – the man who had insisted that Chamberlain had taken the wrong course of action. Ever since the end of the Cold War, and the collapse of the Soviet Union, the New World Order has been tightening its grip around Russia’s neck. 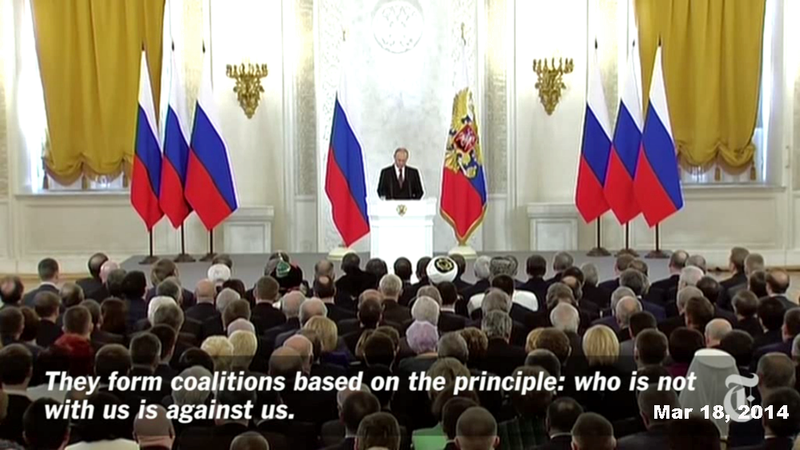 For over two decades, Moscow lived an illusion that it will be treated as an equal partner. Nothing was further from the truth. 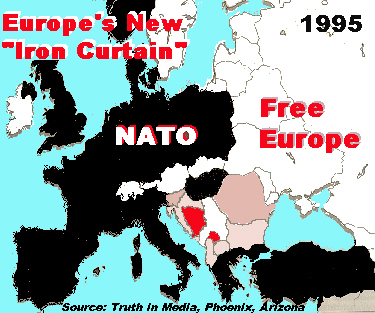 The Truth in Media has published numerous articles in the 1990s that pointed out NATO’s true intentions and the fact that Russia was still the “Bogey No. 1,” as we put it. So only a New World Order Moscow stooge, like Boris Yeltsin, and later also Putin, could have believed otherwise. 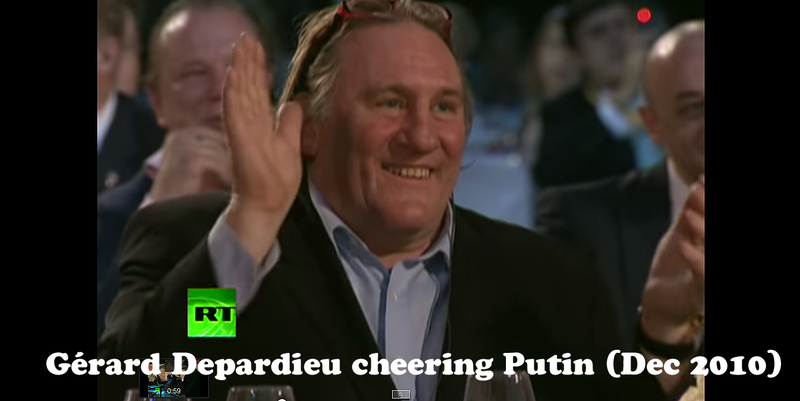 On a lighter note, when Putin was still in between his two presidencies, biding his time as a prime minister, he organized a charity event in his native Saint Petersburg in December 2010 to raise funds for the cancer-stricken children. Such was his drawing power at the time that he attracted “who’s who” of Hollywood to the event. And then he proceeded to entertain them by singing a song he learned while studying English. 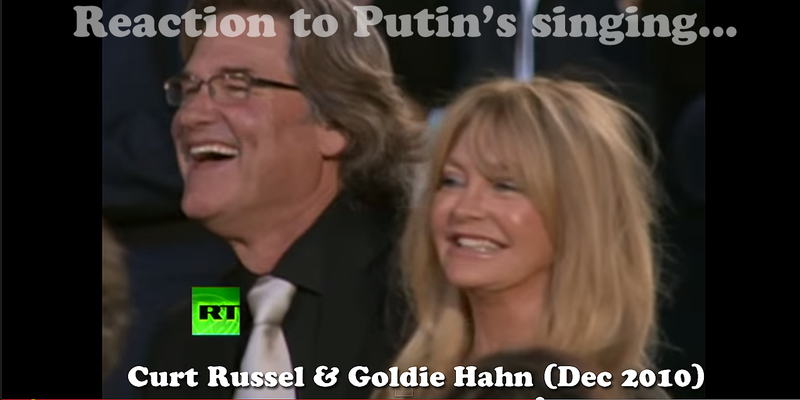 By contrast, can you imagine Obama singing in public? God forbid, right? 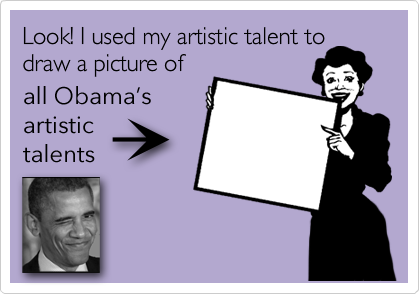 The man seems completely devoid of any artistic talents. Yet Hollywood celebrities tripped over each other and their wallets to cheer him on, both in 2008 and in 2012. No talent – no problem, when it comes to Hollywood.